The IxDAwards are all about celebrating excellence in design across the world. 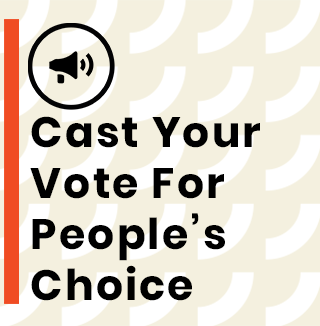 Even though most of the award winners are selected by a jury, perhaps the most meaningful award is the People’s Choice Awards as reflects the voice of the IxDA community. Voting is officially open until 7 February! Submit your vote for your favorite Shortlisted project this year. The project with the most votes wins and will be announced along with other winners on stage during the 2019 Interaction Awards on 8 February at Interaction19 in Seattle, Washington. It’s simple and will only take you a few minutes. 1. Review the shortlisted projects 2. Find the project of your choice. 3. Vote! You’ll find a “Vote for this submission” button on your page. Share with friends, family, and colleagues! The more votes you get, the better your chances. Come make your voice heard—vote today!